This year, time and its fluctuation play an integral part of Beirut Design Week’s theme, Design & Nostalgia. To the aware eye, the past eras have always left their mark on the surface of design. As software developed, our minds expanded and our visions sought what we thought would propel us forward, and we slowly left the past behind. This past now witnesses the speed of our daily lives, and with it a lurking longing for immersions in real experiences. We seek the abstract sense of collectiveness to overshadow our distraction from the roots of our identities, from the past that is integral to our present and the future. Or is it? As creative people, writers, artists, designers, architects, actors and most importantly thinkers embedded in their present state, this year’s theme unites us in bringing back what used to be, acknowledging its value and utilizing it for the purpose of gradually creating new visions and establishments, etching new statements based on those past, carving new shapes from those forgotten and departed. Must we build on past grounds? Should we relate to that which used to unite us? Does the spectrum of design and creation share common ancestors? What do we owe the past? Nostalgia is not a feeling that leaves us dewy-eyed, but one that aims to inspire our creations this year. Be it in the integration of traditional tile patterns into jewellery or the creation of wickerwork interior accessories, the Lebanese heritage is present in the work of today’s designers. The fashion of the nineties, the return of the fanny pack and the bold colours that we don on are proof of the arrival of an era in design that reminisces. Is this a new mode of creation or us simply sampling the work and essence of the designs from years past? What purpose does the integration of nostalgic elements into this AI-based societal paradigm serve? And can these new technologies and electronic modes of intelligence help designers and creators implement their heritage, their ancestors’ legacies, daily life habits, sketches and accessories into today’s body of work? These are the shades that will permeate the discussions, workshops and programs in this year’s BDW. The discussion is set to inspire, to bring forth illustrated opinions, collective disagreements and creative epiphanies. At the end of the day, experience is at the heart of this. Do we yearn for what we left behind or do we try to be inspired by it? Our focus on designing consumer experiences must create a balance between utility and visual narrative along with valuable thematic meanings. Through bringing in the past, should we try to create a collective memory? Through this collective memory, are we trying to unite a population, a generational group, an entire nation or are we trying to dig deeper into the real essence of design, slowly attempting to capture the roots that make us creators, innovators and changers of visions. This is what BDW2019 is all about, so bring in the memories, the past creations and all your opinions. Can bringing in past creations expand the boundaries of design? 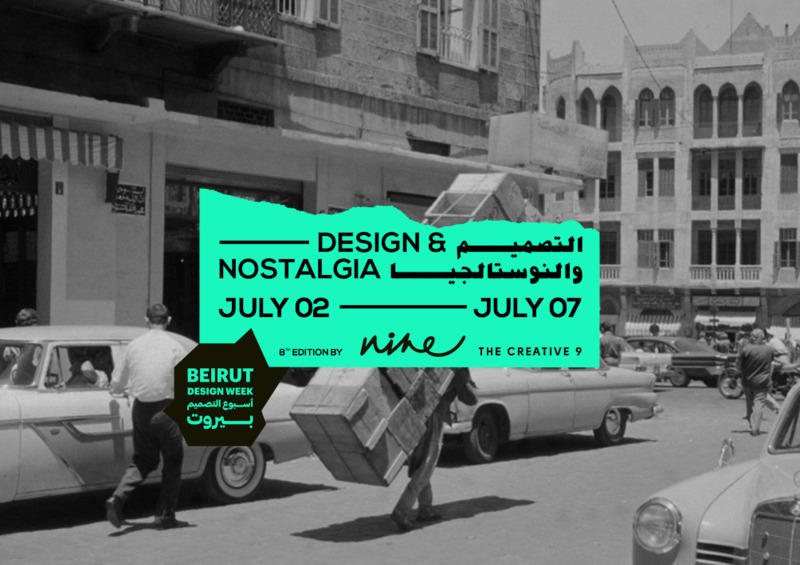 Beirut Design Week 2019 presents the theme of Design & Nostalgia, offering a space for creative actors in the Lebanese scene to discuss, learn and propel design onward.